For behind the scene Justin BUA exclusives, first-looks and limited time offers sign up! Justin BUA is an award winning urban artist. His DJ poster has sold more than any other print of our era. 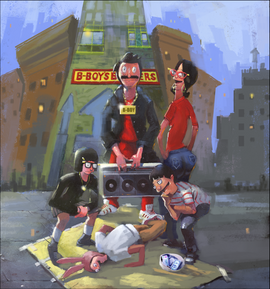 His celebratory paintings of hip hop imagery document turntable, b-boy, MC and graffitti culture. 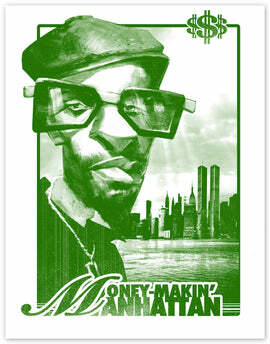 BUA is one of the most recognized urban artists of all time as he has sold million of prints across the globe. Today he travels the world doing art shows and demonstrations and is a member of the prestigious United States Stamp Committee.